NORWALK, CT – March 26, 2009 – Merger and acquisition activity in the health care industry’s service sectors moderated in 2008 after two record-setting years. A total of 468 deals were announced in nine sectors of the health care services industry, down 4% from the 489 deals announced in 2007. Although the drop in deal volume was negligible, the dollar value of those deals plunged by 68% from $56.8 billion in 2007 to $18.2 billion in 2008. “While dealmakers in the M&A market for health care services showed the will to pursue mergers and takeovers, the relative lack of capital inhibited both the size and the number of deals they could undertake. As a result, the 2008 M&A market was characterized by an absence of mega-deals, but a robust middle market,” commented Sandy Steever, editor of The Health Care Acquisition Report, Fifteenth Edition. “The availability of capital, including the bond market, fell while the cost of capital rose, which constrained buyers to focus on only those deals deemed necessary and strategic. This in turn prompted buyers to find creative ways to finance and execute their transactions,” continued Mr. Steever. The Health Care Acquisition Report, Fifteenth Edition, contains more than 200 pages of hard-to-find information on all publicly announced hospital, managed care, laboratory services, physician medical group, behavioral health, rehabilitation and other services mergers and acquisitions in 2008. Two other services sectors, long-term care and home health, are treated separately in The Senior Care Acquisition Report, Fourteenth Edition. 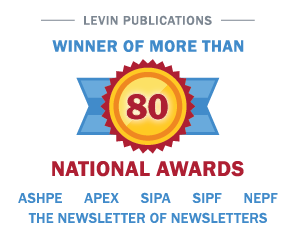 Irving Levin Associates, Inc. is a Norwalk, Connecticut-based research and publishing firm specializing in health care investments. The firm has more than 50 years experience in the health care and seniors housing acquisition market. The Health Care Acquisition Report, Fifteenth Edition, may be purchased for $595 by calling 800-248-1668 or clicking here.